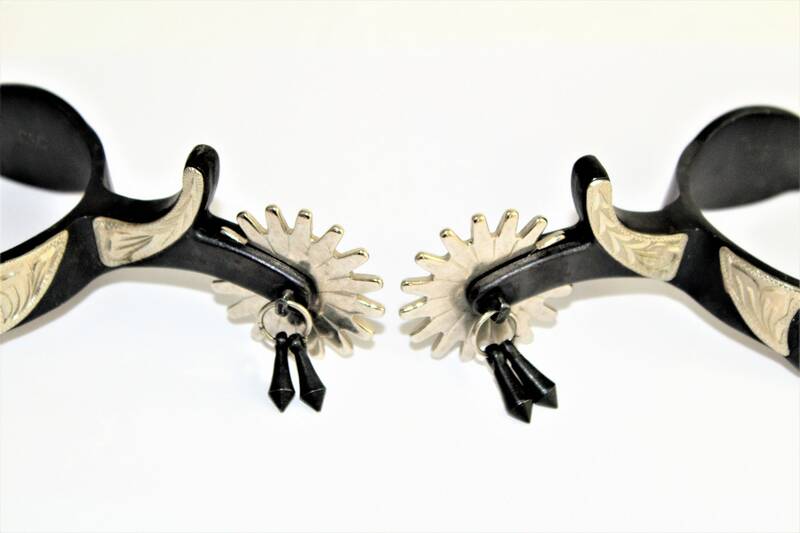 We have for sale a Vintage pair of CSC Spurs, 16 point long horn spurs. 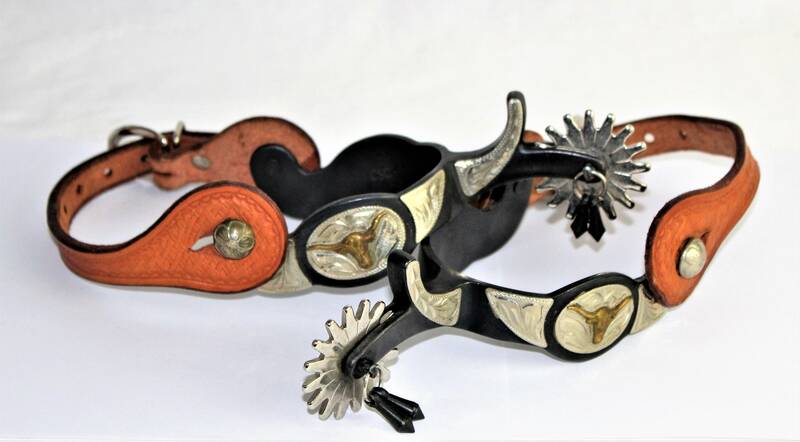 Wonderful set of CSC western boot spurs made by the Colorado Saddlery Company of Golden Colorado. 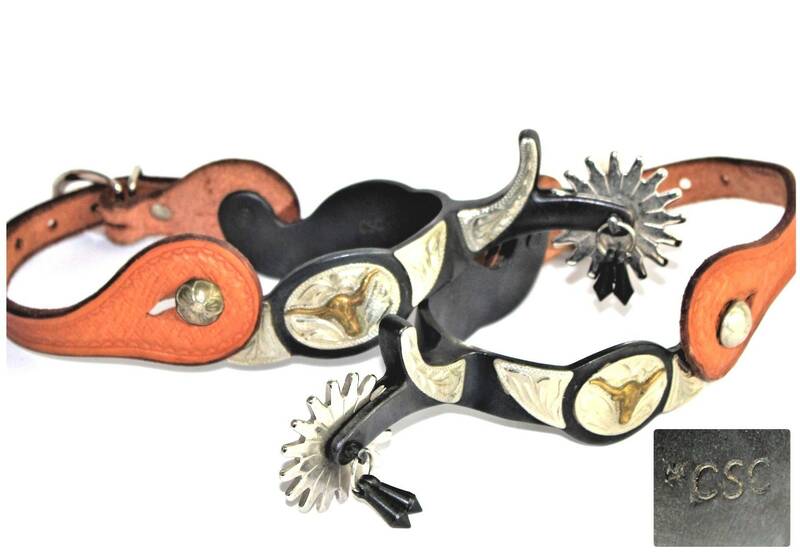 These spurs are made of steel with decorative silver overlay and a brass long horn steer on the outside of each spur. 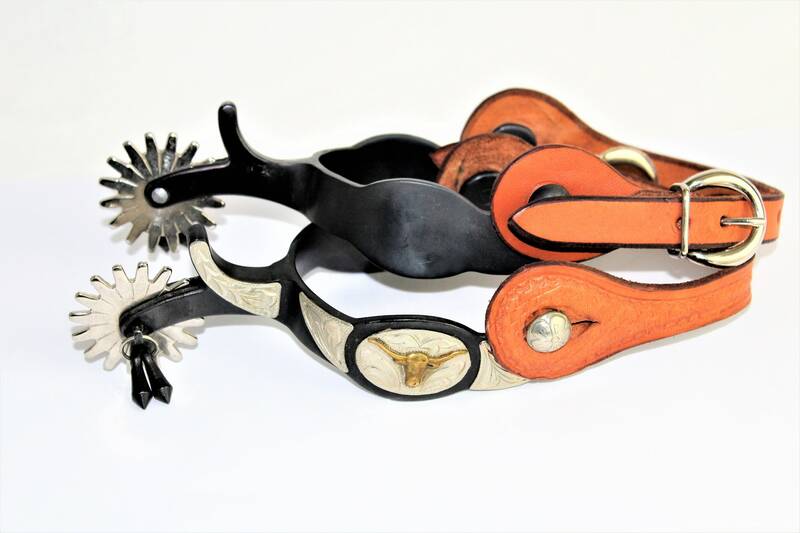 These have 2 ¼” shank with chap guards and 1 ¾” 16-point rowel with jingle bobs. 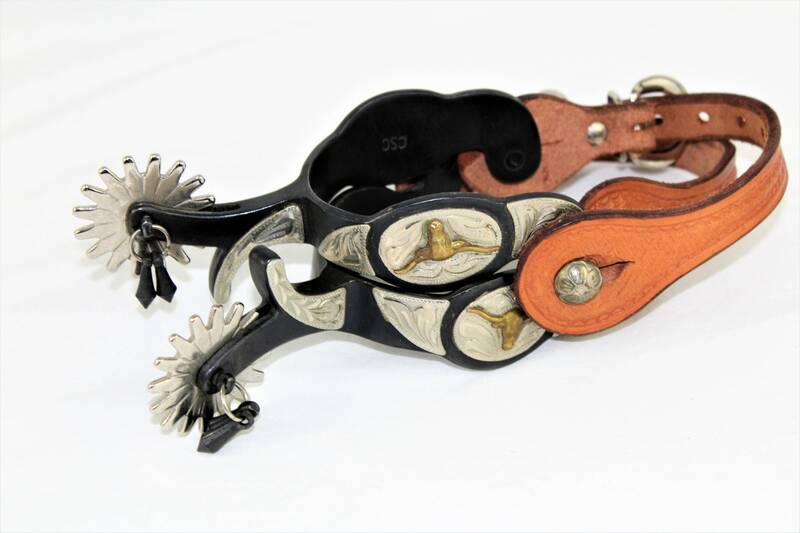 The spur straps are tooled leather and in wonderful condition. 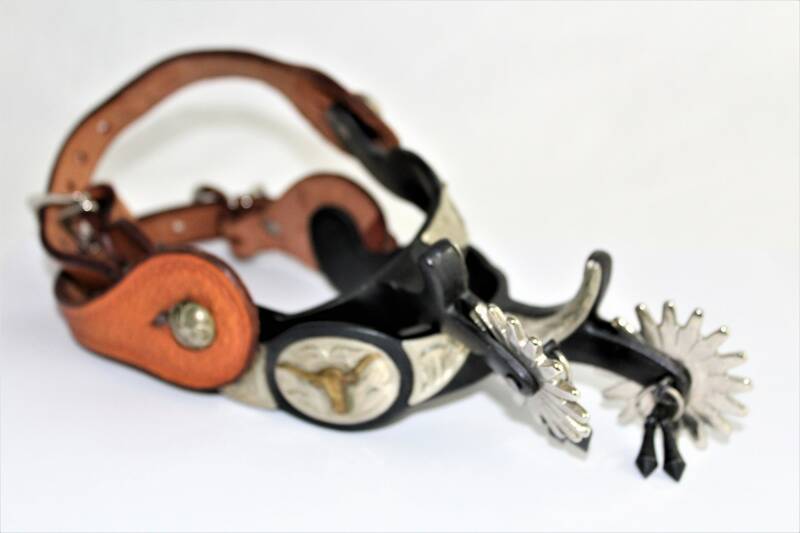 Condition, Spurs are in wonderful condition for age with light wear and scuffs. 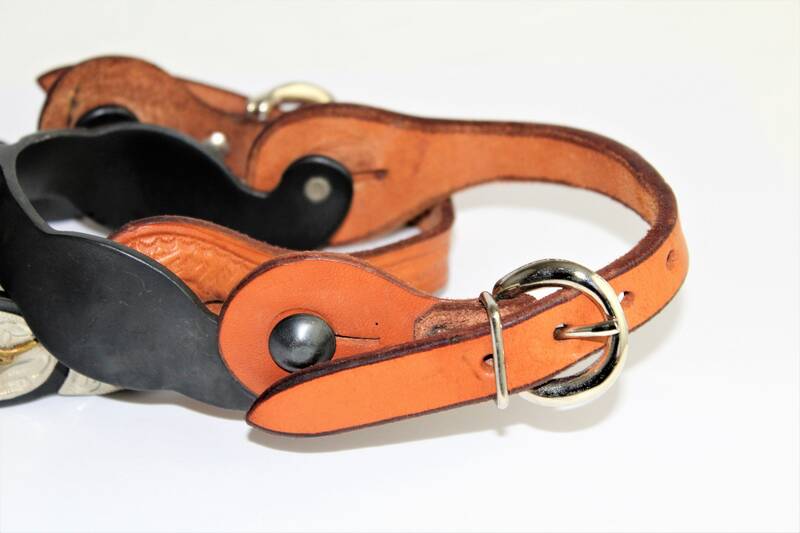 **** We have a fixed shipping cost on all our items. 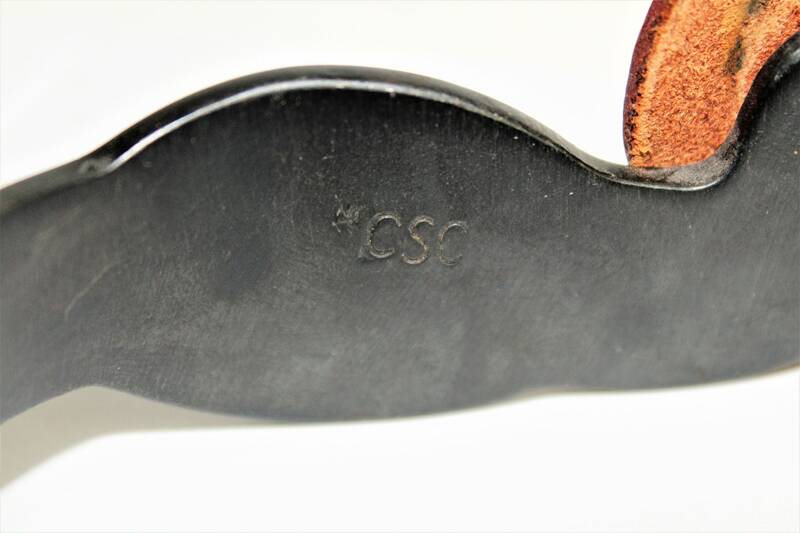 If you purchase multiple items, the shipping cost will be recalculated. 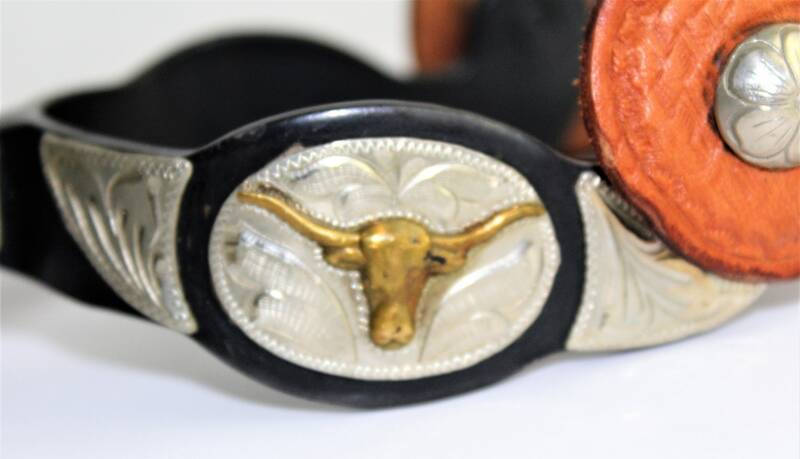 We will issue a refund of all shipping cost overages once your purchase has been shipped.